Charlie is a shy kid who hides behind the cleanup sink at school. However, after his teacher asks him to be her helper, he springs into action when the fire coral stings his friend Bernie. 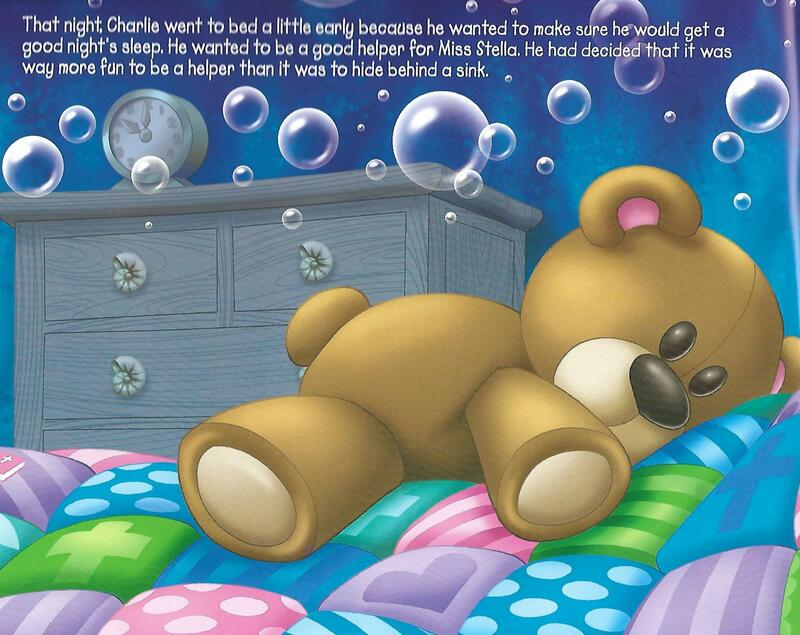 Charlie goes to bed a little bit early because he wants to make sure he gets a goodnight's sleep. He wants to be a good helper for Miss Stella. He had decided that it was way more fun to be a helper than to hide behind a sink! Before he falls asleep, Charlie prays, "Dear Jesus, thank you for my great first day of school, and thank you for my mommy and daddy, all my new friends and for Miss Stella. Help me to always help others. Amen." Charlie learns he can overcome his shyness and be a servant like Jesus. 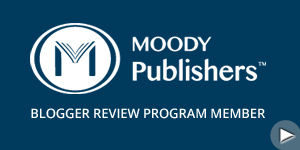 Continuing on with my review of this series as the books are released. 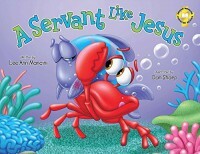 Today I am looking at A Servant Like Jesus, Book 4 of Mancini's award winning Adventures Of The Sea Kids series. If you're just now discovering these empowering and vividly illustrated books for young readers, I will try to remember to link my reviews for the earlier books down below. In this installment, Charlie the Crab is experiencing his first day of school and his nerves and shyness are getting the best of him. While the other sea kids play and learn, Charlie prefers to hide behind the classroom clean up sink. Charlie's teacher, Stella Starfish, hoping to coax Charlie out of hiding, asks him if he'd be willing to be her classroom helper. Charlie is ecstatic! Charlie's eyes grew huge. He wiped his tears and said, "I can see all around with my crab eyes. I have great claws for carrying things, and though I only have six legs instead of eight, I can move really fast! Crabs can move sideways too. I help my mommy all the time! I'd love to be your helper, Miss Stella." Charlie's unique abilities and honest desire to be helpful come in quite handy during a class field trip to a local coral reef bed. One of Charlie's classmates gets stung by a branch of fire coral but thanks to Charlie's quick actions, his fellow student is rushed to first aid in time to alleviate the pain pretty quickly without too much serious injury to the limb. Charlie immediately gives up a prayer of thanks that he was able to push through his shyness and get his friend medical attention in time! And if you liked all these, there's a fifth in the series, God's Gift, that was just recently released. I haven't had a chance to read / review it yet but hope to have a review for you soon!